Ask a random Georgian in the streets of Tbilisi about the best winery in his country and chances are high he will say Telavi Marani Wine Cellar. This ambitious wine house has been producing high quality wines in an international style for years. The nearly one century old Telavi Marani Wine Cellar is one of the best wineries of Georgia. Their vineyards are located in the Kacheti region in the east of the country. The owners have chosen to work in the highest quality segment. Their wines are sold all over the world and fit well with the Western taste. 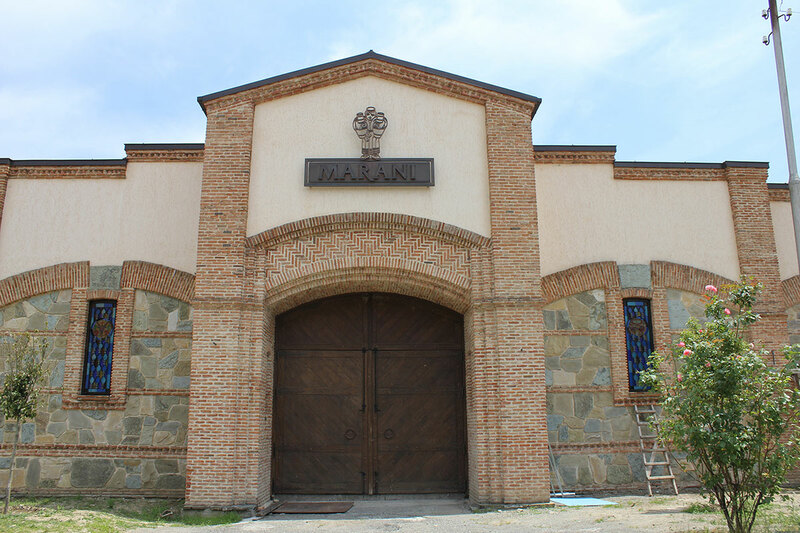 The wine company Telavi Marani Wine Cellar was founded in 1915. Two years later the Russian revolution broke out and the company was shortly after nationalised. It has only been in private hands again since the end of the twentieth century. French wine consultants and oenologists are actively involved in wine production. Every step in the production process is controlled, from the grafting of the vines to the bottling of the wines. The philosophy of Telavi Marani is nevertheless based on local tradition. Mainly indigenous grape varieties are used and apart from modern wines the winery also produces a range in the traditional way; in clay pots buried in the ground. The wines are exported to Russia, Europe, New Zealand and the United States. They have won more than a hundred gold and silver medals in international competitions. The wines of Telavi Marani are surprisingly modern and a good match with the Western European taste.